A whimsical poster by the French poster designer Poulbot, made probably at the turn of the 20th century. Depicted here are a boy that seems to be from a lower class, kicking a girl to her amazement from the back. They are names Nany & Lona. 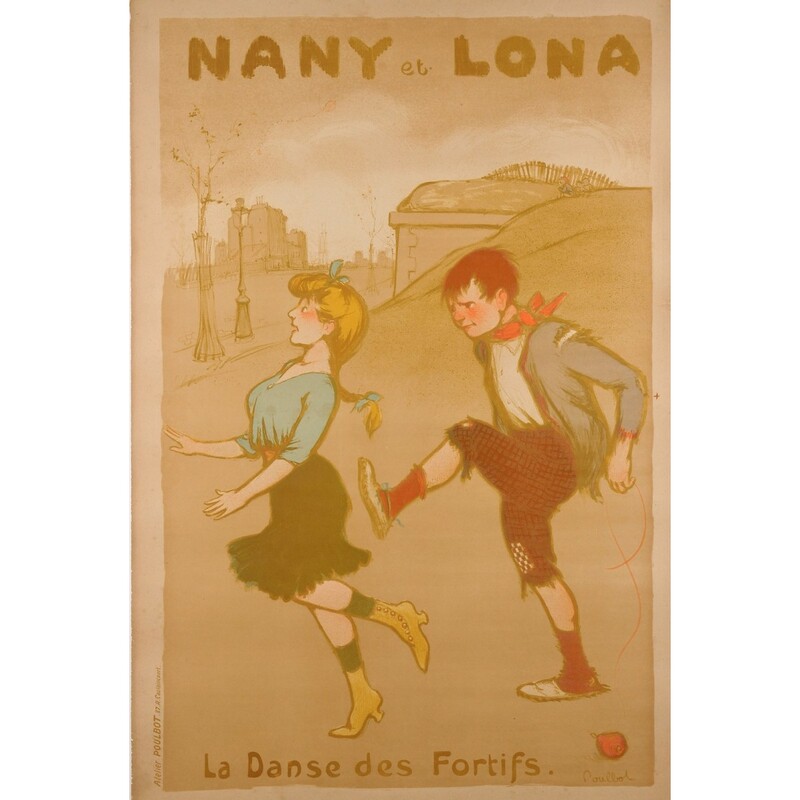 Inscribed on the bottom: "La Dance des Fortifs". Francisque Poulbot (6 February 1879, Saint-Denis – 16 September 1946, Paris) was a French affichiste (literally, "poster designer"), draughtsman and illustrator. Born into a teaching family – both of his parents were lecturers. 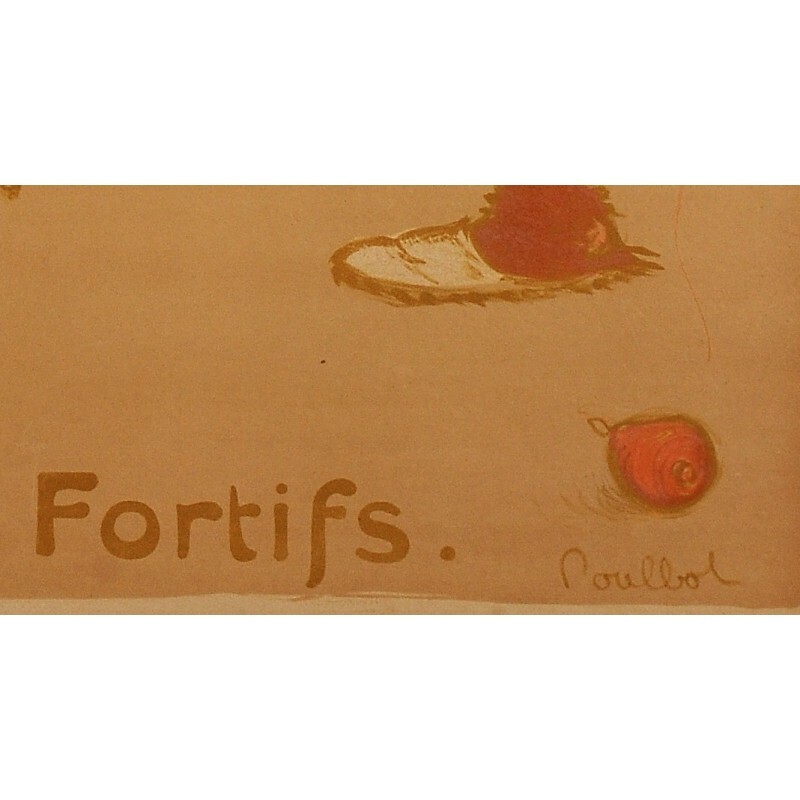 Francisque Poulbot who was the oldest of seven children was a gifted draughtsman, but shied away from the École des Beaux-Arts. Following 1900 his drawings began to be published in the press.